A couple of weeks ago, whilst shopping for vests and tights for the kids in Primark, I picked up 2 new slogan tees for myself. For the Bargainous price of £2.50 each it was a right deal! I love a good slogan tee to make a statement and you can’t go wrong with a price tag of £2.50. I am quite a casual person overall and though I love my accessories and a bit of bling and sparkle, day to day I like to be chilled for busy mum life, school runs and who knows what! 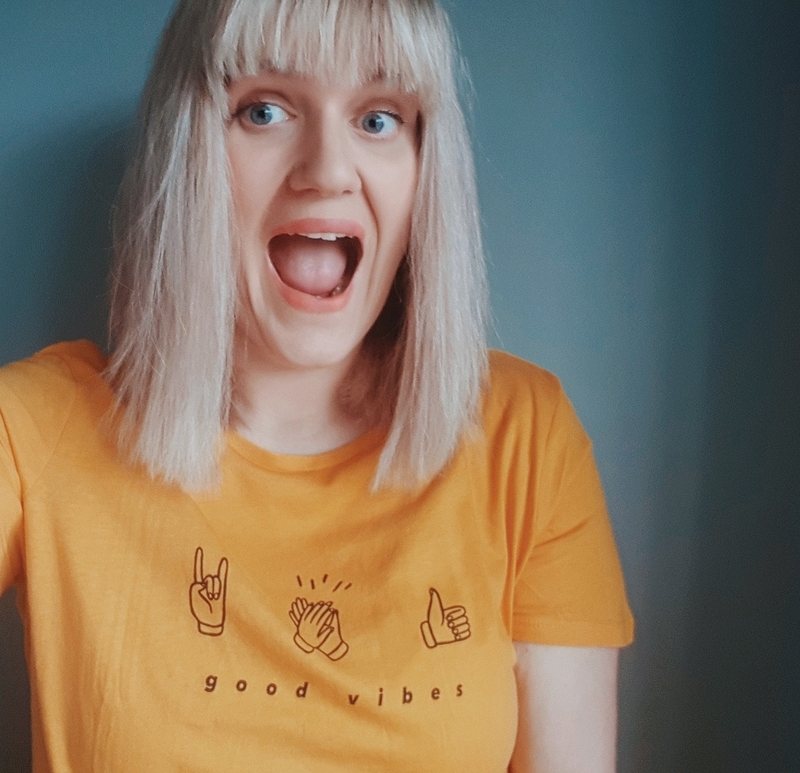 Slogan tees to me are a wardrobe staple – especially in warmer weather, but work well too with a chunky cardi during Autumn and Winter too. I wear them with with everything, from all of my jeans to denim shorts, patterned trousers and even with skirts for a more fun and casual approach! Paired with either sandals, boots, trainers or pumps, they are both a stylish and yet practical look for mums on the go and I love that I have 2 new additions to work with, without costing the earth! 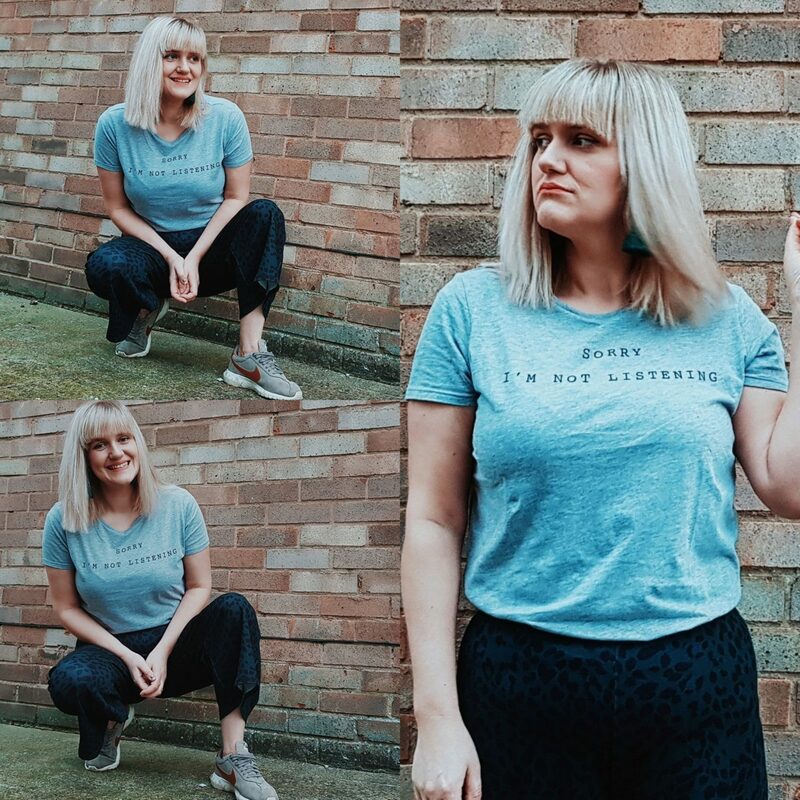 I went for the grey “I’m not listening” which made me laugh (and also wish I could get matching ones for the kids – sums them up to a “T” ha). I also loved this yellow one which said “Good Vibes” – so true! It’s a great colour to go with all sorts, and will be nice and bright on sunny days. I am wearing the grey one right now with my funky animal print culottes (New look Sale) and reduced H&M tassel earrings (£3) – paired with my Nike trainers I feel fab, comfy and stylish (and a little smug that it’s all sale stuff paired with a £2.50 Tee). 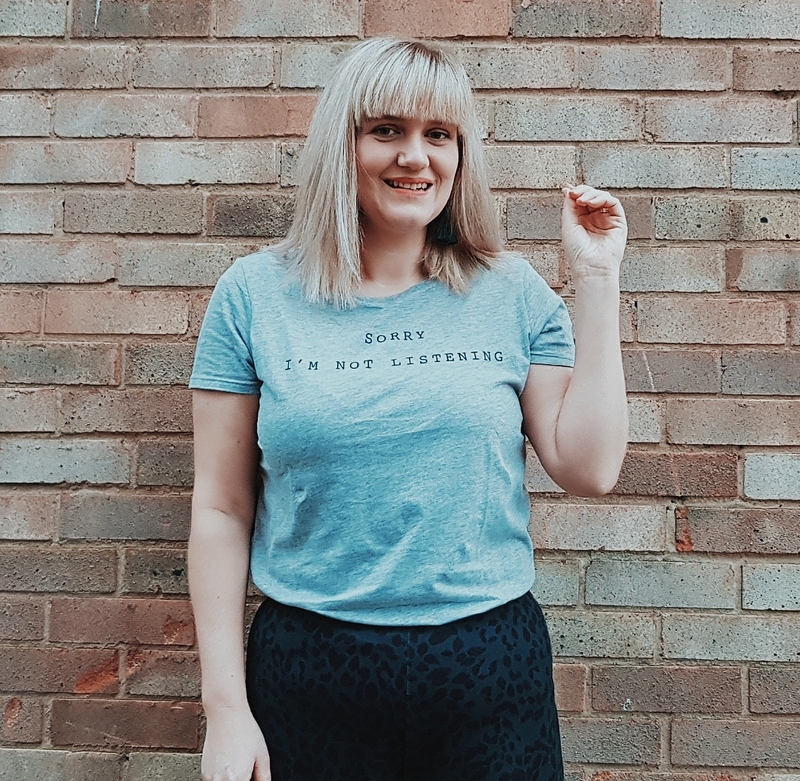 One of the best thing about slogan tees is you can also wear them with leggings and joggers when lounging about or exercising (not my forte), or (something I am more comfortable with) for bed with Pj bottoms when you get bored of them! To me I love them because they are comfy and bring a bit of attitude to your outfit and day. For only £2.50 you need to get some – make a statement with a new slogan Tee from Primarni – so versatile and chill!